Our mission is to raise funds and award scholarships to graduating seniors who plan to continue their studies in the fine or performing arts in college. 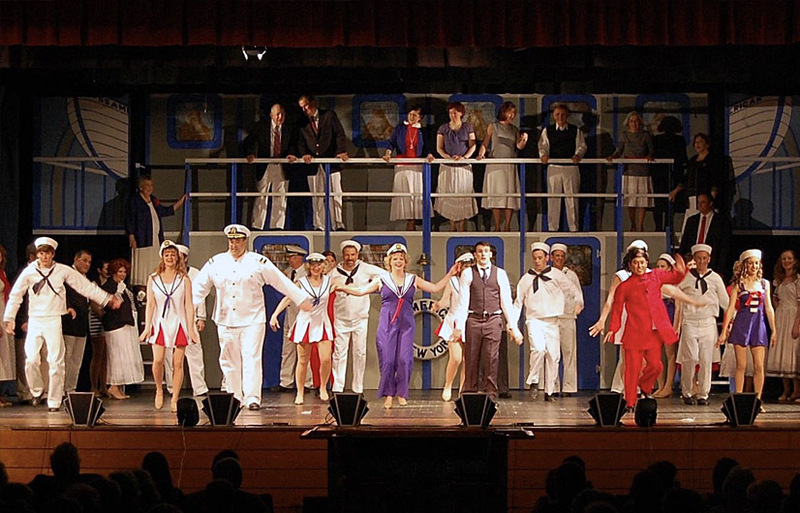 Each year since 1956 the Neshaminy Valley Music Theatre has produced a full Broadway-type musical stage show. The proceeds of the production contribute to a scholarship fund which is awarded to graduating seniors of the Neshaminy School District who plan to continue their studies in the fine or performing arts. Our most prestigious grant is the Evelyn McLean Memorial Scholarship, named for the founder of the organization. Additional scholarships are awarded annually, including the Joseph J. McGlade Memorial Scholarship, the George W. Kinsley IV Memorial Scholarship for Students of the Woodwind Instruments and the Dotti Gelenberg Memorial Scholarship as well as other grants, the number and size of which are determined by the financial success of the production. We are very pleased to have awarded a total of three grants for 2018 and are most proud to announce the following recipients of our 2018 scholarships. Since its founding, NVMT has awarded more than $150,000 in scholarship grants to deserving students. 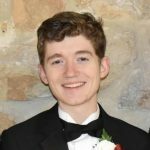 Majoring in Music Education at Youngstown State University, Joseph Stanford has been a four-year member of the NHS Marching Band, Wind Ensemble and Jazz Band that included fulfilling the roles of section leader for the marching and jazz bands and first chair for Wind Ensemble and Jazz Band. He has performed with the county, district and regional bands as well as with the PMEA All-State Jazz Band and PMEA All-State Wind Ensemble. Joseph’s main vocational goal is to obtain a position as a music educator. He believes in the importance of teaching young people the fine arts because of the many benefits to be gained. 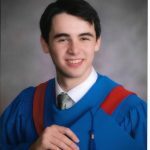 Joseph was awarded both the Evelyn McLean Scholarship and the George W. Kinsley IV Scholarship in recognition of his outstanding musical accomplishments and potential. Jarod Mellus is also a dual NVMT grant winner having been granted the Joseph J. McGlade Scholarship and the George W. Kinsley IV Scholarship. He has served as section leader and President of the high school Marching Band, played with the PMEA district and regional bands and orchestras and has performed with the Pennsylvania All-State Band. Additionally, he has been selected for membership in the Bucks County Educators Association, the PA Music Educators Association and the Youth Orchestra of Bucks County. With his strong affinity for musical theatre, Jarod plans to obtain his degree in Music Industry at Drexel University focusing on music technology. Majoring in Music Education at West Chester University, Mae Prasch has discovered a long love for music that she wants to make last a lifetime and believes that she is being called to lead a life of love through her devotion and the knowledge she has and will gain in music. A member of the NHS Marching Band, Wind Ensemble, Symphonic Band and Jazz Ensemble, Mae has served as section leader for the marching band. 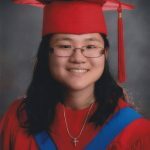 She is an active volunteer at her church and has participated in a dual enrollment program taking early enrollment in college level courses at Bucks County Community College while still in high school.